Fishing for great Seafood? 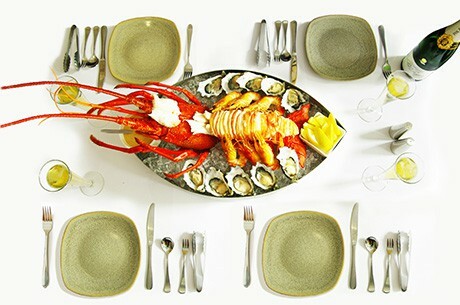 Melbourne’s Premium Seafood Restaurant, Box Seafood Restaurant is the place to go! Located in the heart of the CBD (Central Business District) on the Paris end of Collins Street, Box Seafood Restaurant offers an extensive range of fresh Australian produce and fresh Crayfish. Our team of creative chefs and dedicated floor staff will ensure your meals are prepared and catered to perfection so that you experience the best that Box Seafood Restaurant has to offer. The Box menu takes the experience one step further. This is because we pride ourselves on serving fresh Australian Seafood. You’ll find a variety of fresh fish and shellfish preparations that draw upon coastal cultures Australia wide. We also have generous selection of non-seafood, vegetarian and Gluten free options. We use only the freshest, highest quality seafood and only from sustainable stocks. Our emphasis on Australian produce also ensures flavoursome, seasonal dishes that translate beautifully into delicious main course and entree dishes.